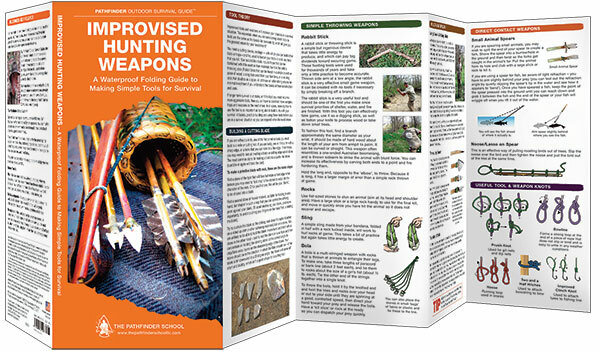 Improvised tools and weapons will improve your chances in a survival situation. Survival expert Dave Canterbury provides a simple review of the types of weapons you can use to secure game and how to create them. 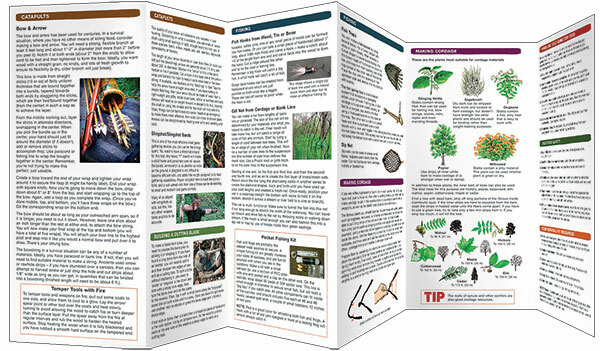 From using simple slingshots and bolas to creating fishhooks and bows and arrows, this waterproof, folding pocket guide could save your life if stranded in the wilderness. Also includes information on the handling, preparation and preservation of wild game. Made in the USA.